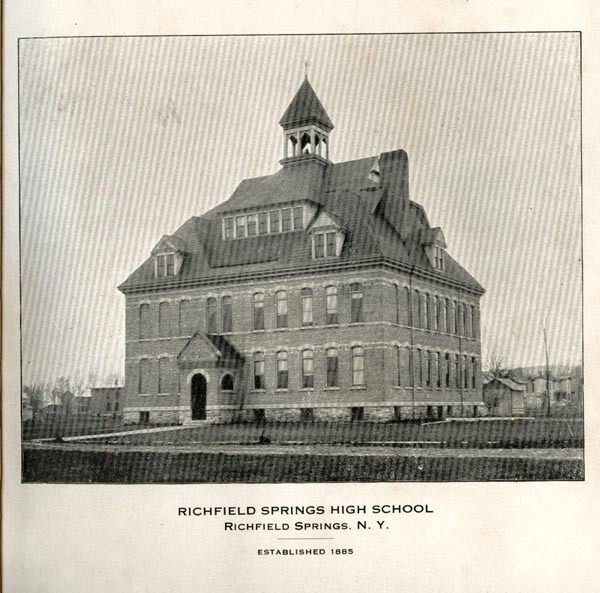 Richfield Springs High School, Richfield Springs, N.Y., Established 1885. 1. Annual Catalog of the Richfield Springs High School, 1912-1913, page 2.